Well, it has definitely been an interesting journey for sure. For as long as I can remember, I have always wanted to help people. This became especially evident to me when I was 8 years old. I watched my father have a heart attack in front of me and I felt so helpless. I did what I could in running for help, but sadly my father passed away. He was just 47 years old. His death rocked me. I grew up determined to learn as much as I could about medicine so that I could be helpful to others in need, rather than feel inadequate. I qualified as a pharmacist in 1990. I loved working in pharmacy and I felt like I found my purpose. I was helping people with their disease management and making a difference in people’s lives. 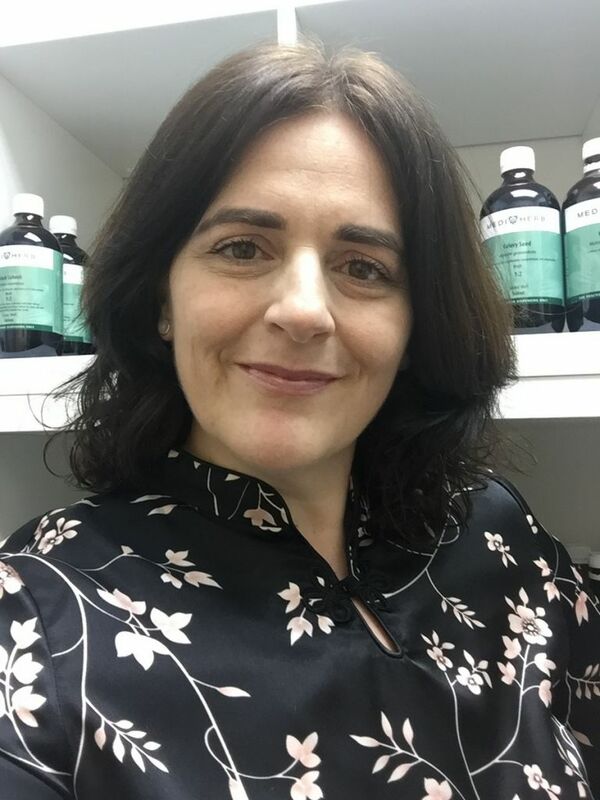 I continued to study many different modalities of healing and worked closely alongside many naturopaths that worked in various pharmacies with me over the coming years. I was always drawn to complimentary medicine and I enjoyed incorporating it into patients regimes for added benefit. Over time though, I felt something was missing and I put it down to the fact that I was not able to really shine my ability in helping others. I was just meant to churn out the scripts – not heal people instead. The frustration began to build in me. In 2007, I purchased my own pharmacy in Carlton North which was a long-term dream for me. Now, I was finally able to run the business just how I wanted to, in a way that I felt matched the community’s needs. It was a great learning curve for me in terms of building relationships and also in healing others. My store became a destination for advise and health guidance, and I was loving the process. I was able to merge many traditional Western medicine protocols along with natural medicine for a wonderful end result – true healing. However, the stress of the long hours and hard work involved in running a business began to take its toll on me personally. My health deteriorated over time and soon I was diagnosed with an autoimmune disease – Hashimoto’s thyroiditis. This is when things got really interesting. I went to many doctors for the long list of complaints I was experiencing and honestly, I felt quite deflated with the service and attention I received. I was ultimately told to take a tablet every day for the rest of my life since there was no cure once an autoimmune disease sets in. Luckily, my inquisitive mind knew better than to just accept that prognosis. I began to research my condition in great depth and over many hours and over many years. I came to realise that my condition was a lot more complex than the doctors made me believe. It didn’t just involve my thyroid like I was led to think. Nor would taking a tablet alone “fix” my symptoms. I chose to follow my heart and declined traditional Western treatment. Instead, I altered my lifestyle and eating habits and also made the brave move to go on to further studies. I knew it was up to me to find my cure. 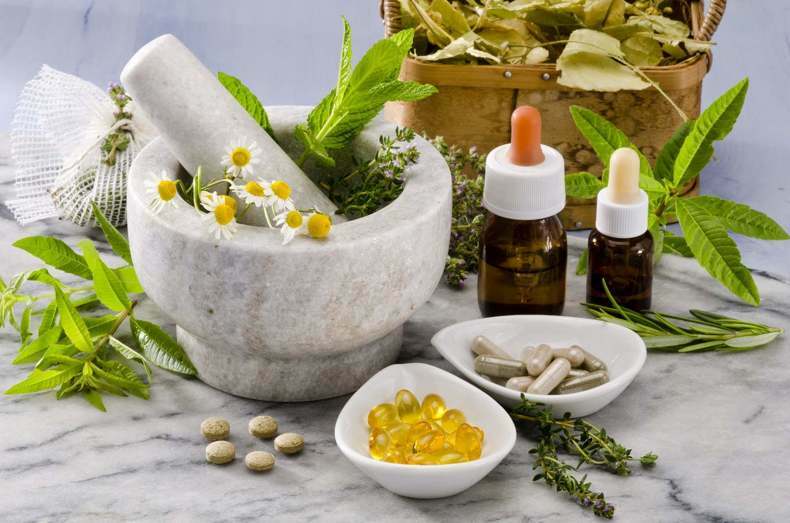 I enrolled into a course to study Herbal Medicine in 2013 since I wanted to get back to the real basics of pharmacy where medicine first began – nature’s pharmacy. It was extremely tough being a student again and running a business – not to mention keeping the relationship with my husband and 3 boys strong. I am so blessed my family have supported me not only with my business decisions, but especially in my personal life. I continued to grow with my knowledge and over time I began to grow away from pharmacy as a result. I knew I could no longer serve the public in their healing quests in my current status alone. I had transformed over time into an integrated practitioner by default. So, in March 2015, I sold my pharmacy to focus solely on my studies. I felt scared and somewhat sad about leaving my pharmacy, but I just kept trusting that my longstanding calling to heal would lead my way. I found working in pharmacy on a part-time basis just the perfect match for me as I worked through my course. I was healing and my stress was reducing. In May 2017, I proudly became a qualified Herbalist. 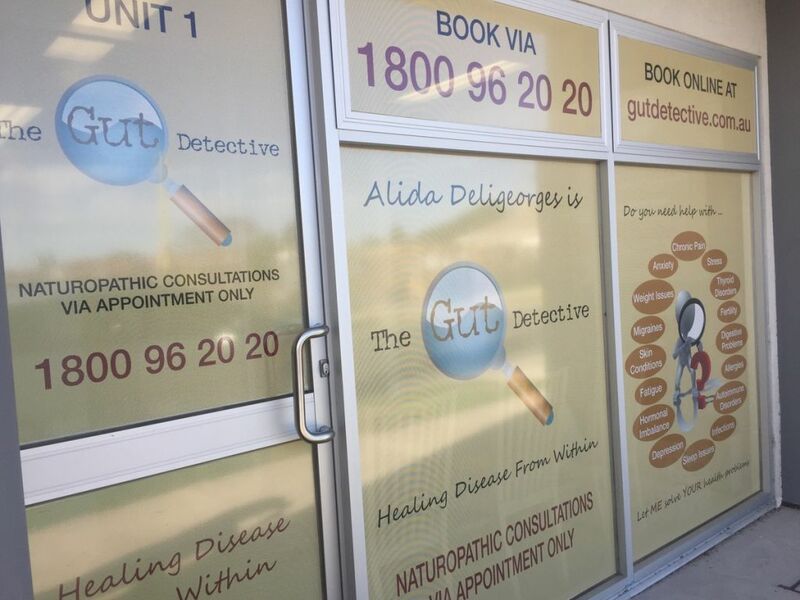 Within 3 months, I opened my clinic and so began the next phase of my life as ‘THE GUT DETECTIVE’. 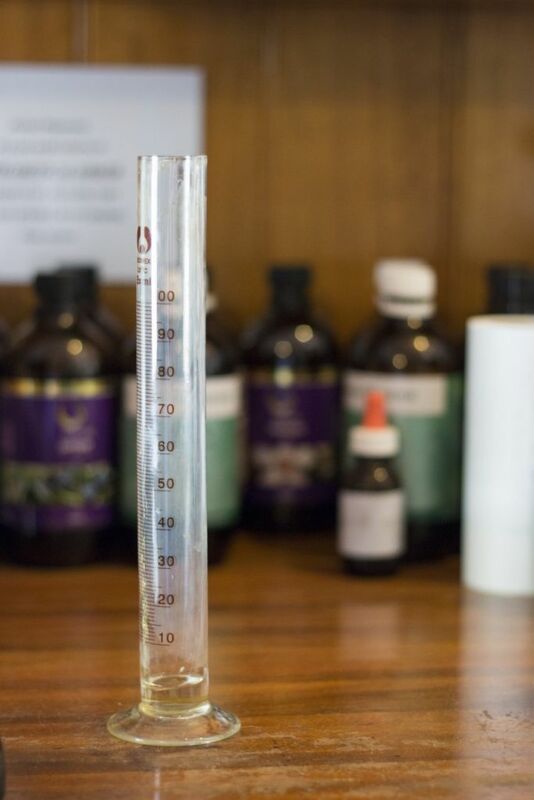 I now utilize both my pharmaceutical and natural medicine knowledge to search for the root cause of disease states and to assist people on their healing journeys – which satisfies me greatly I must say. * Would you like to tell us something about you that most people wouldn’t know when they first meet you? Most people have no idea that I am still a pharmacist or that I have 28 years experience. 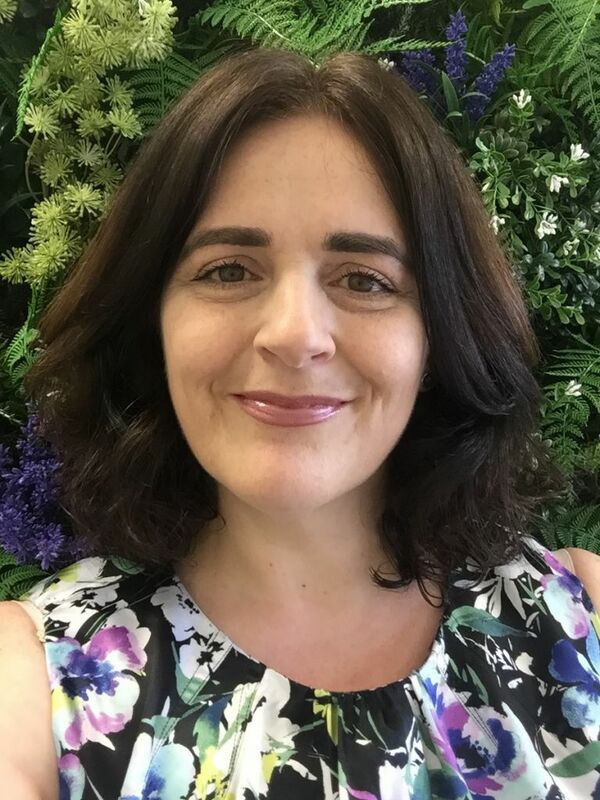 I still work part-time in pharmacy, mainly to continue to connect with customers and to keep up to date with new medications. The reality is that most of my clients take pharmaceutical medications. It’s vital to understand the role of these medications and also to be able to manoeuvre around them as I treat any underlining disease. I also help so many people that come through pharmacy who are desperate for healing by pointing them in the right direction -something that customers really appreciate. * Who or what inspires you? I have two inspirational women that I adore – Andrea Beaman and Izabella Wentz. Both have put their autoimmune thyroid conditions into remission through nutrition, herbs and natural supplementation. They are also wonderful educators with heartfelt passion – something I connect deeply with. * What are you mostly focussing on these days? My main focus at present is to grow my business to the point that my schedule is full each day. I am almost there which is very exciting. * Do you have some exciting plans for the future? My goal is to treat a thousand patients per year. So to do that, I am planning to create an online course and to speak at as many events as possible. Somewhat nervous about public speaking since it’s new for me, but something I need to rise above. * Is there anything that’s non-negotiable when it comes to your health and wellbeing? I eat a low inflammatory Paleo diet to keep my autoimmune condition in check. I feel so much better since I commenced this style of eating many years ago and it’s something I recommend to my clients too. I also insist on drinking only filtered water and I avoid as much xenoestrogens as possible in my life. * Do you have a favourite healthy practice? Stress is a major contributing factor to many disease states. It was certainly a big problem for me when I owned my pharmacy and I’m sure it tipped me into autoimmunity. I am firm on not watching the news or anything negative (such as violent movies) since I feel it really deflates my soul. As a rule, I always finish the day in a happy mood. My family and I each night unwind whilst watching a comedy box set – past examples include ‘Happy Days’, ‘Everybody Loves Raymond’, ‘Frasier’, ‘I Dream Of Jeannie’ and ‘Seinfeld’. Laughter really is the best medicine and it’s a great tool to release any negativity that penetrates the body. Listening and speaking illness all day long can be heavy on the heart and brain, so I love to giggle it out of me each night. * Do you have a favourite quote, saying or mantra that you love to live by? Ignorance may be bliss, but knowledge is power. I believe people need to know the facts so they can make informed decisions about their health. Too often I see customers in pharmacy believing that taking prescription medication is the only way to treat a condition. No-one has told them there is another way – until I speak up. * What do you like to do for rest and relaxation? I adore unwinding with soothing music such as mantra music since the words are subtle and the frequency of the music helps my chakras balance. * What are your favourite superfoods, supplements or healthy ingredients? Anyone who knows me will know I love Nettle Leaf tea along with Himalayan pink salt – my 2 favourite items for good health. They are both mineral rich, with over 80+ minerals each. Minerals are extremely vital for wellness and people are so deficient of them nowadays. * Would you like to share one of your favourite ‘Gut Detective’ recipes using a GREEN NUTRITIONALS product with us? I really love using Green CALCIUM as a supplement to any juice I make. 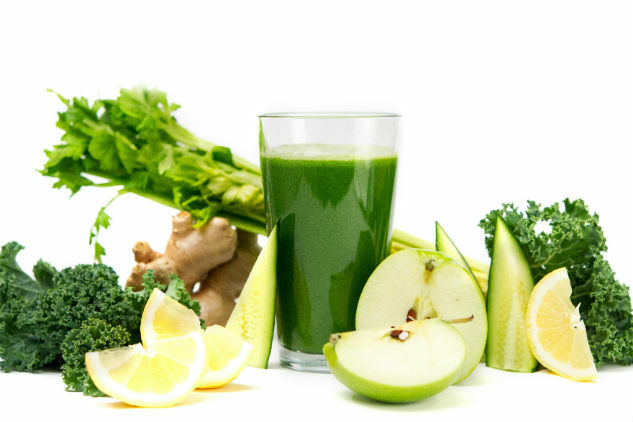 It’s simple, extremely nutritious and it doesn’t change the colour or flavour of the juice in any way. Green CALCIUM is rich in elemental calcium, magnesium and 72 other trace minerals crucial for optimum calcium absorption and bone health. Simply empty the content of 2 capsules or simply add 1 teaspoon of powder into your favourite juice just before drinking and stir vigorously – ENJOY!